Rendering of Schwartz Resiman Innovation Centre by Weiss/Manfredi via University of Toronto. 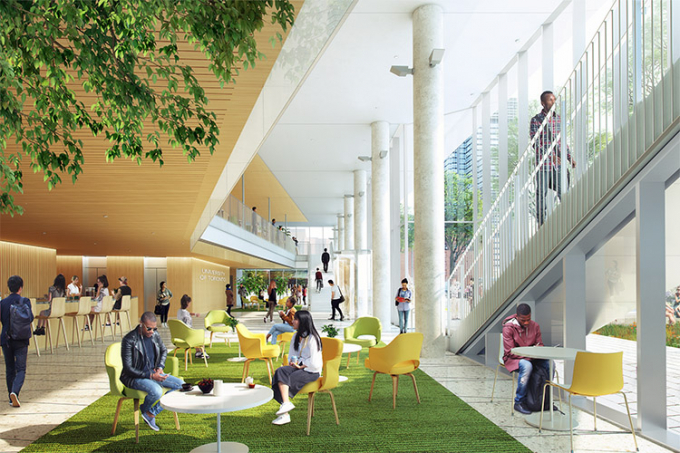 Rendering of Schwartz Reisman Innovation Centre by Weiss/Manfredi via University of Toronto. Philanthropists Gerald Schwartz and Heather Reisman have made a $100 million donation to the University of Toronto to build a new Schwartz Reisman Innovation Centre to advance disruptive technologies, the university says. 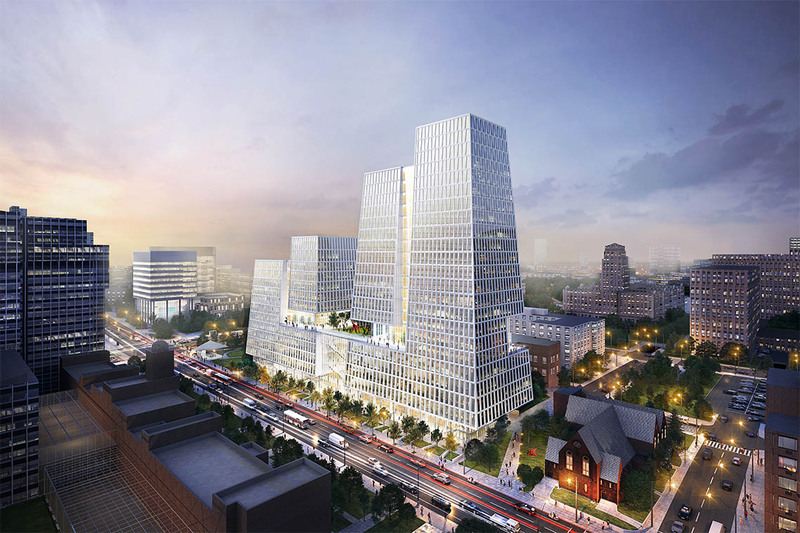 The new 750,000 square-foot complex will be located at the northeast corner of Queen’s Park and College St. in Toronto and will be designed by architectural firm Weiss/Manfredi. The firm recently won the 2019 AIANY Design Merit Award For Architecture for its work on the Tata Innovation Centre at Cornell Tech in partnership with Forest City New York. The project will be constructed in two main phases. The first is a 250,000 square-foot, 12-storey tower, the second will be a 500,000 square-foot, 20-storey tower. 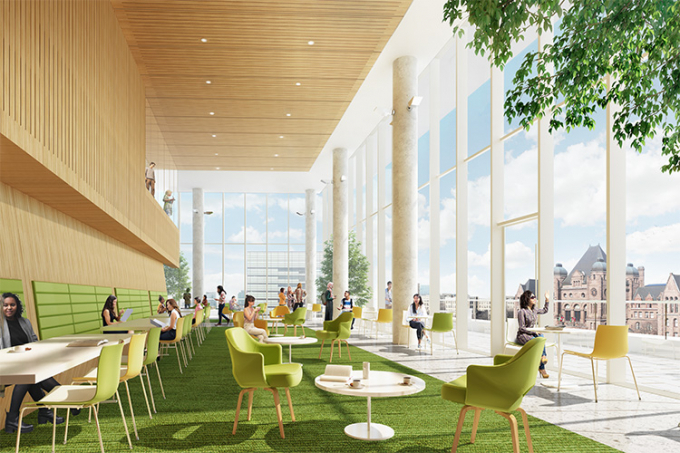 The first tower will be the new home of the Vector Institute for Artificial Intelligence in addition to the newly created Schwartz Reisman Institute for Technology and Society. The U of T says it will appoint a new director to lead the institute, who will hold the Schwartz Reisman Chair in Technology and Society, as well as the responsibility of creating the programming and research initiatives. There will be new fellowships and a research fund on offer. The institute will host a major international conference among a calendar of events. The university plans to begin construction on the first phase of the Schwartz Reisman Innovation Centre in the fall of 2019. Before that, U of T will appoint a director for the Schwartz Reisman Institute for Technology and Society, plan the inaugural Schwartz Reisman International Conference, and raise awareness of the institute and its mandate.